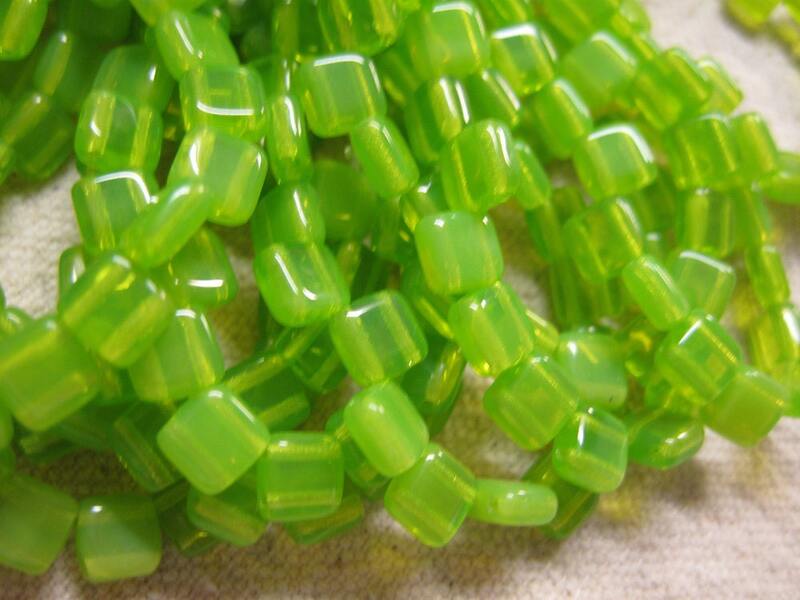 Mantis green two-hole tile beads, 6mm x 6mm. Can also be referred to as lime green! Made in Czech Republic. 25 beads per strand.